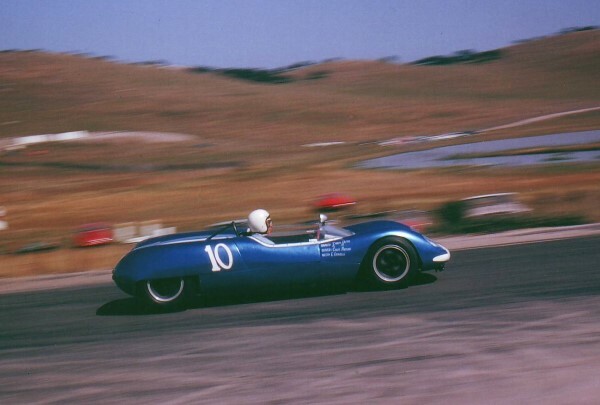 Another look at Parsons on his way to a big win at the June 9, 1963 USRRC event at Laguna Seca in Randy Hilton's 1600cc. Lotus Mk.23B. Don Wester, also Monterey- based, finished 2nd in his Porsche RS61, for a one-two sweep for the home team.